The nursery, where new coffee seedlings are grown under shade. Fruity and floral with a soft buttery mouthfeel. Notes of apricots, butterscotch and orange blossom. Santa Isabel is located near the town of San Cristóbal Verapaz – in the Veracruz region of Coban. An area with remarkable mountains, a cool climate with plenty of rainfall as well as dense rainforest and impressive flora. The 300-hectare farm sits at an altitude of 1,400–1,600m above sea level. The farm is a family business that was founded in 1875 when the land was granted to the Valdés family by Guatemala’s President. The coffee is in fact produced by the fourth and fifth generations of the Valdés family. Today the farm is owned by Luis Valdés, who has been running the farm since 1961. However, the day to day running and management is undertaken by his son, also called Luis, (or, to his friends and family, “Wicho”). Wicho lives on the farm with his wife and three children. Wicho grew up watching his dad on the farm and fell in love with coffee from a very young age. After school, he went on to study agriculture, before returning to take over the management of Santa Isabel. Wicho and his family have a huge passion and love for the farm, which is evident as soon as you meet them. They take their environmental responsibility very seriously. One-third of the farm’s 300 hectares is dedicated to a natural forest reserve, which they grow cedar, pine and mahogany trees. This helps protect natural water resources and encourage biodiversity, providing a habitat for deer, birds and squirrels. Macadamia nut trees on the farm, which is harvested, roasted and sold. The remaining 200 hectares of the farm at Santa Isabel is dedicated to coffee production. The plantation is made of 80% Caturra and 20% Catuaí variety trees. Wicho adopts a 3 year/3 row approach to pruning, to optimise ventilation and light (and reducing excess humidity). It helps minimises fungal disease, including leaf rust and in turn the need for chemical applications. Inga trees are planted throughout the plantation to provide shade for the coffee trees and help enrich the soil by providing a healthy cover of foliage. Furthermore, frequent application of lombri compost, the by-products of wet-processing, has enabled them to reduce their applications of chemical fertilisers by more than 15%. 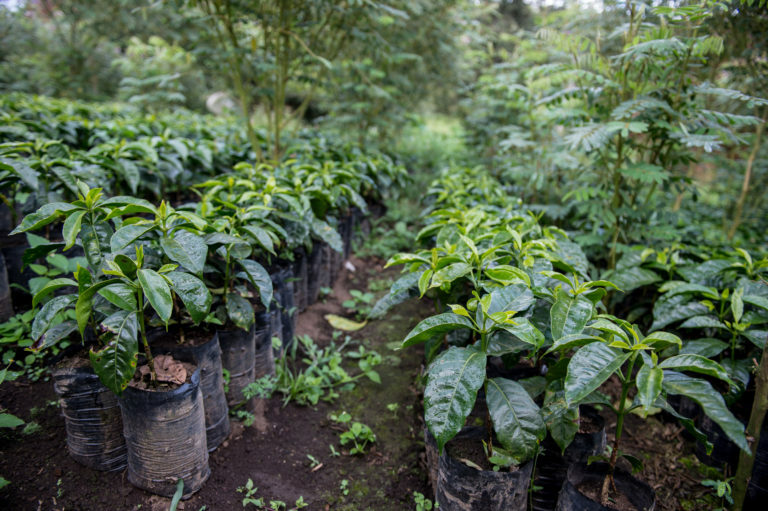 A nursery is located on the farm, where new coffee seedlings are grown under shade using polyurethane bags. The farm has a weather station (funded by ANACAFE) on the plantation which helps Wilco manage the farm better by determining the best timing for applications such as fertilisation, pruning etc. The annual precipitation at Santa Isabel is around 3,500mm, with regular rainfall for 9-10 months of the year. With constant rain, much of it a gentle drizzle means that flowering is very staggered. The trees produce eight to nine flowerings a year, between April and June. This results in a long harvest period which runs from November through to April. Due to the fact that the coffee ripens at different stages, Wicho instructs at least 10 passes, with breaks of up to 14 days between passes, for picking. This ensures that only the very ripest cherries are selected. Wicho employs and trains over 40 permanent workers throughout the year, and 500 temporary workers during the harvest period. Workers travel up to 20 miles away to work on the farm. Many farmers in the region find it increasingly difficult to secure labour for the entirety of the harvest. Santa Isabel has a stable and reliable workforce, despite their reputation for being very demanding with regards to selective picking. In addition to paying fairly, a picker at Santa Isabel can harvest up to 160 pounds of cherry a day, which is a high yield. Workers are paid per pound, meaning that many of the same workers come back year after year. 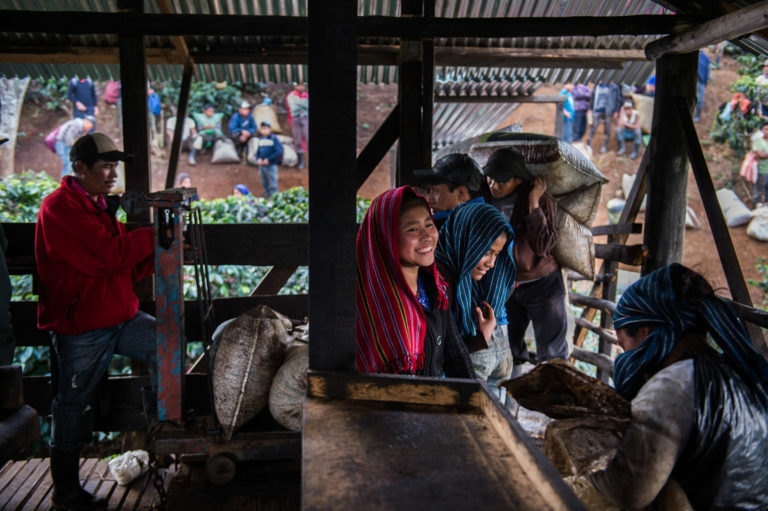 After picking, the red cherries are transported by foot or tractor to Santa Isabel’s wet mill where they are pulped immediately and then fermented for up to 48 hours. After fermentation, the coffee in parchment is soaked in clean water for 24 hours. It is then dried in the sun for 7-10 days until it reaches 30% humidity and then transferred to a greenhouse for a further 15–30 days to dry in full on raised beds.